Bigsby's Folly will delight guests with its 30 ft. exposed timber ceilings, original brick walls and abundance of natural light. We can combine any of our spaces to fit your event's needs. Our expansive Courtyard can be tented and heated to provide larger groups wanting total exclusivity and an outdoor feel all year long. 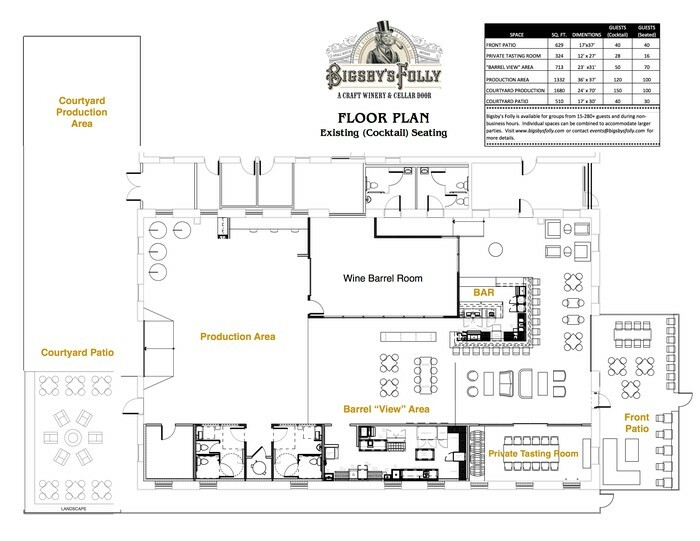 Click HERE to download a PDF of of our floor plan.